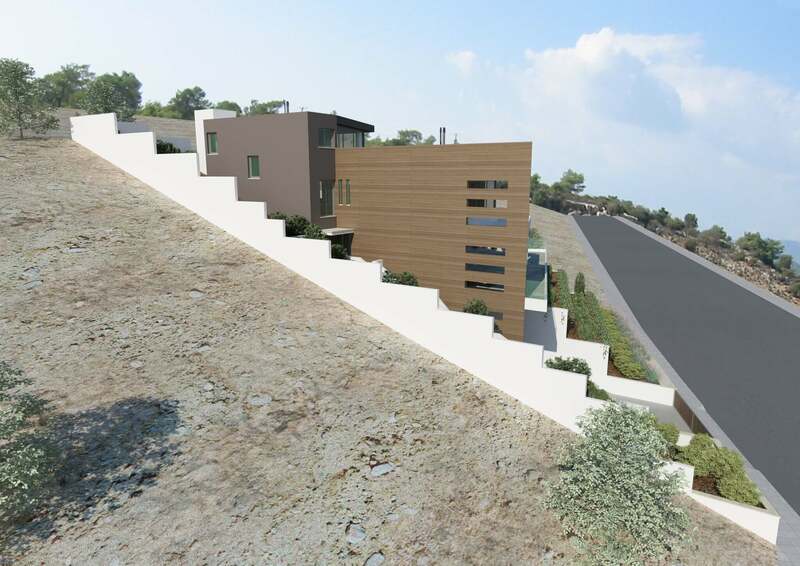 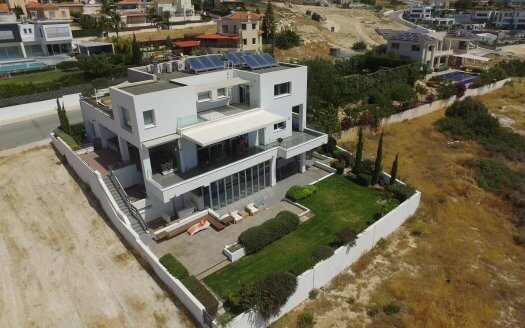 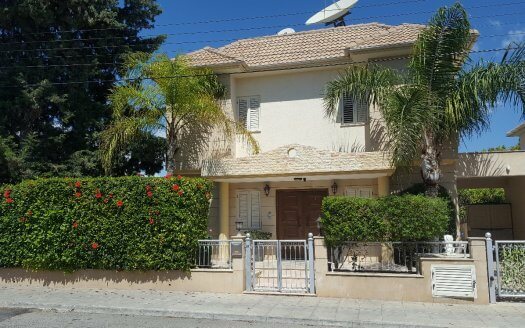 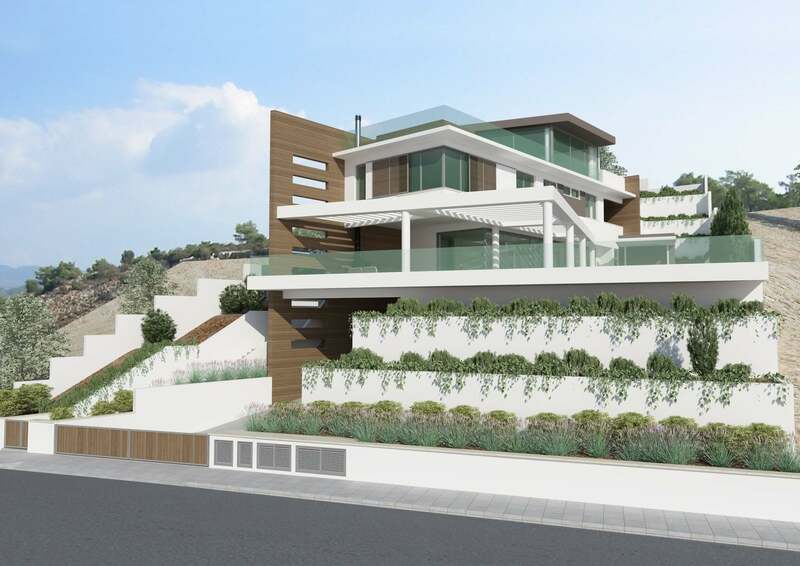 Is located in Agios Tychonas, on a panoramic plot with an area of 1000m2, one of the prime areas in Limassol with spectacular views of the sea and the mountains. 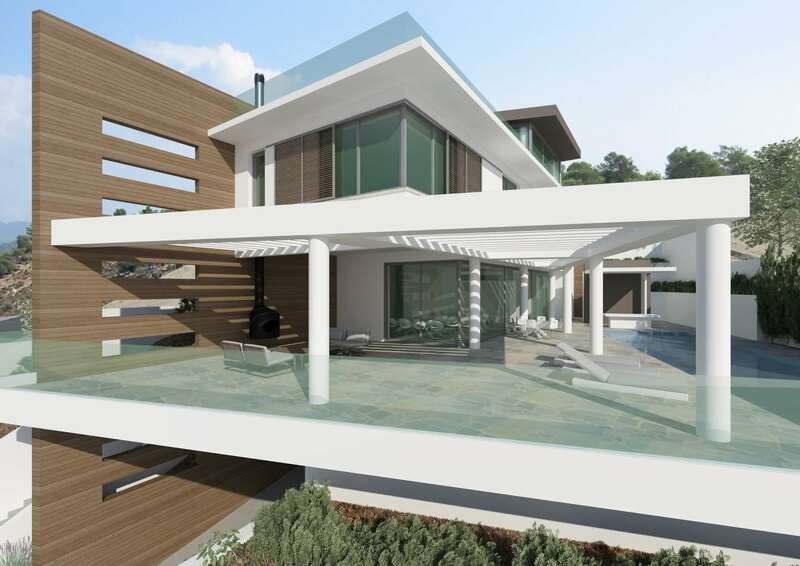 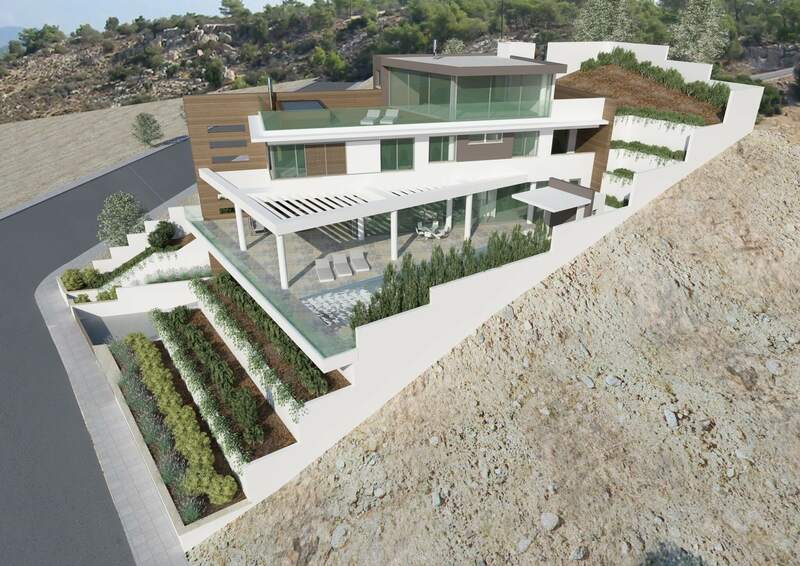 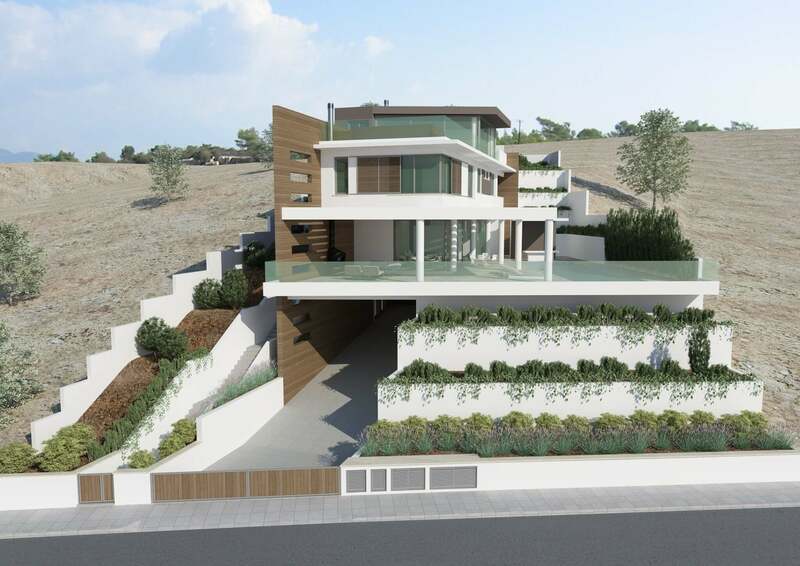 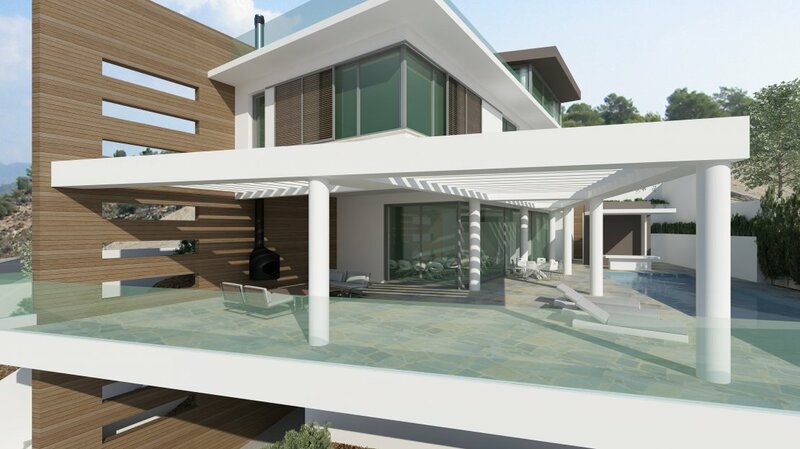 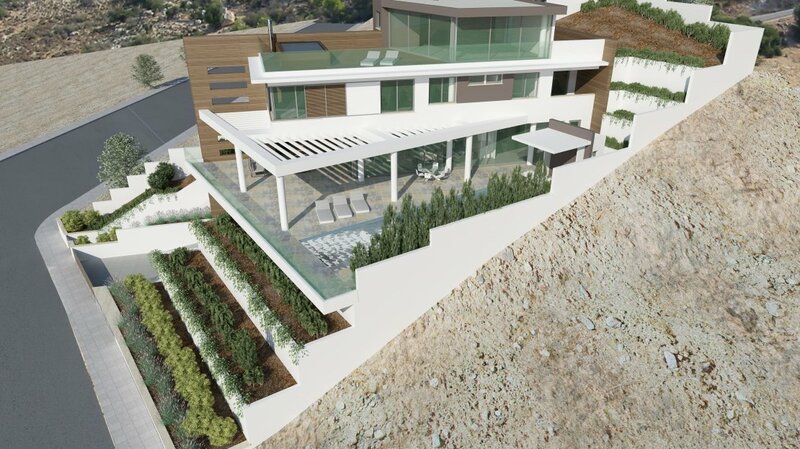 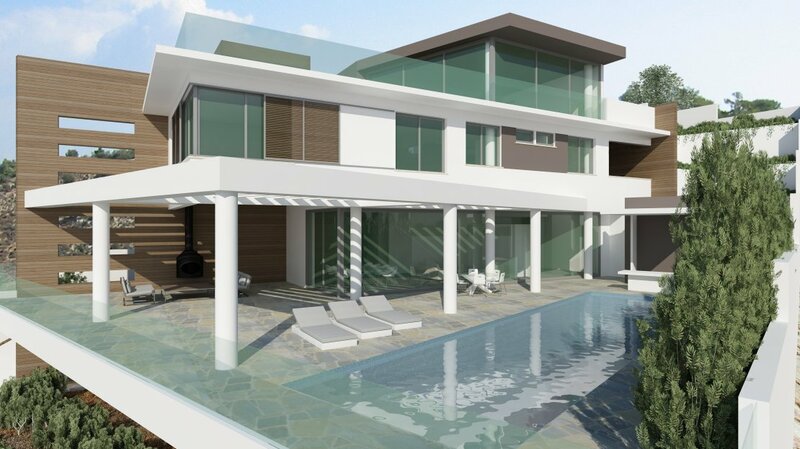 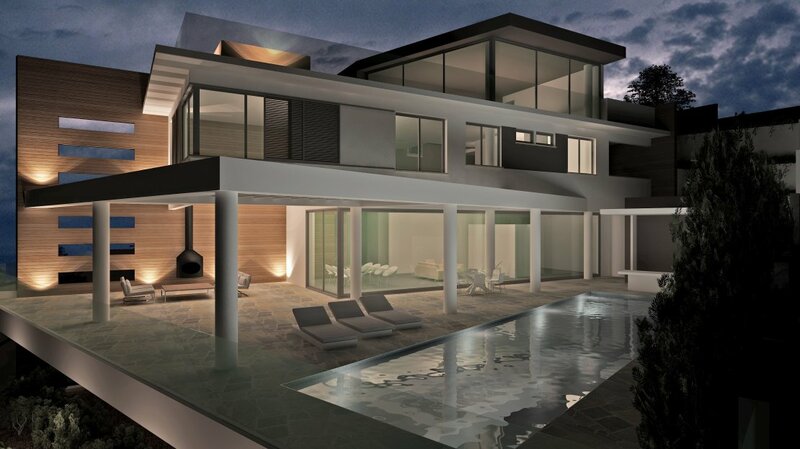 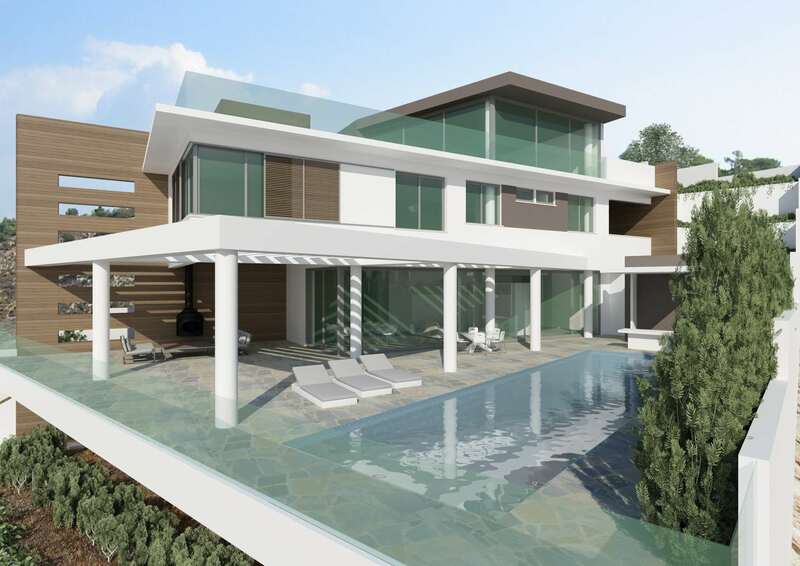 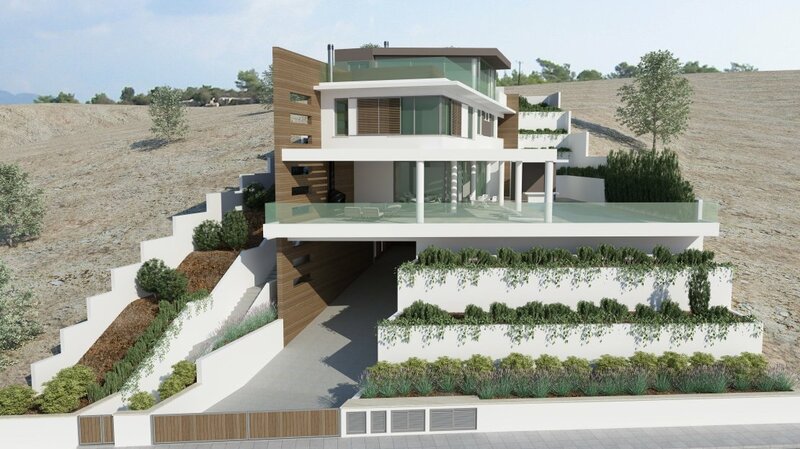 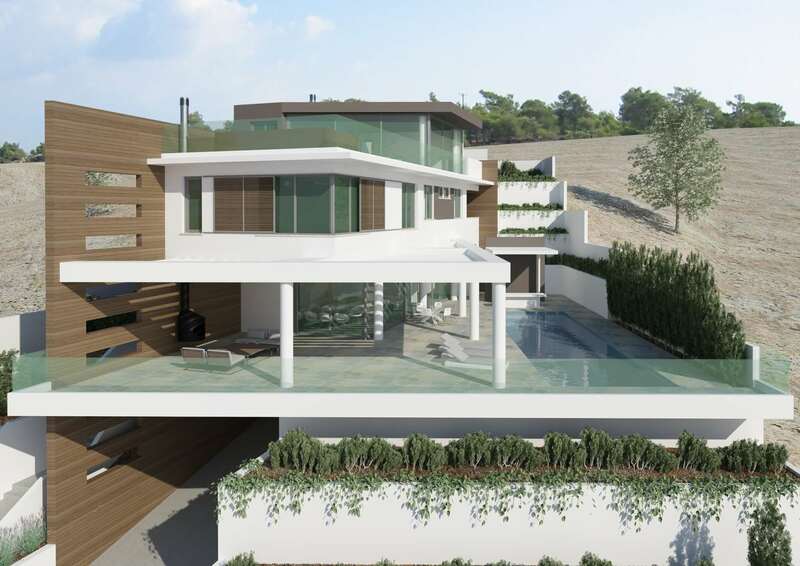 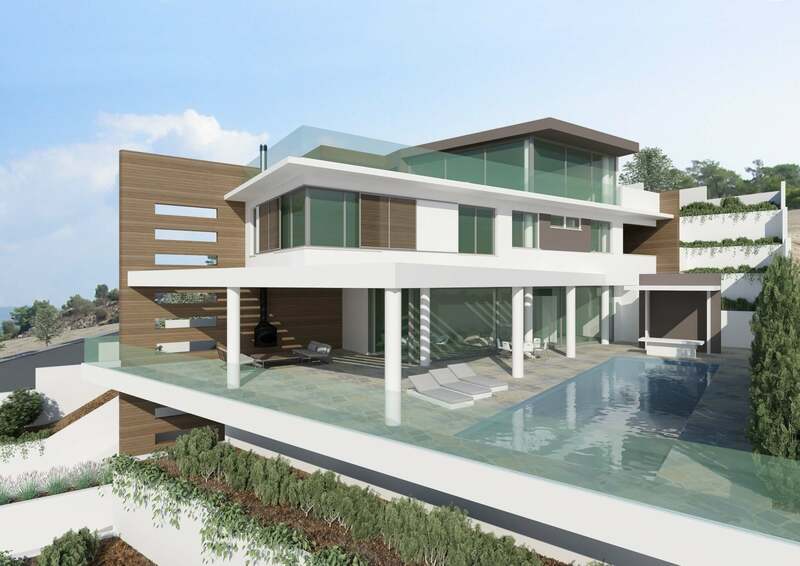 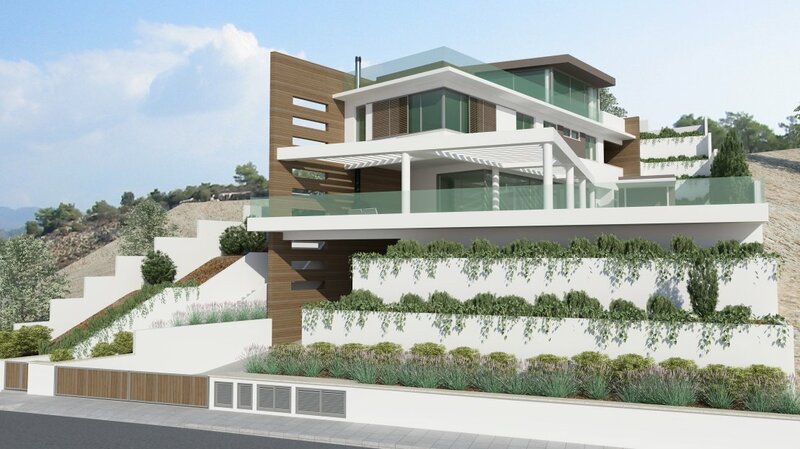 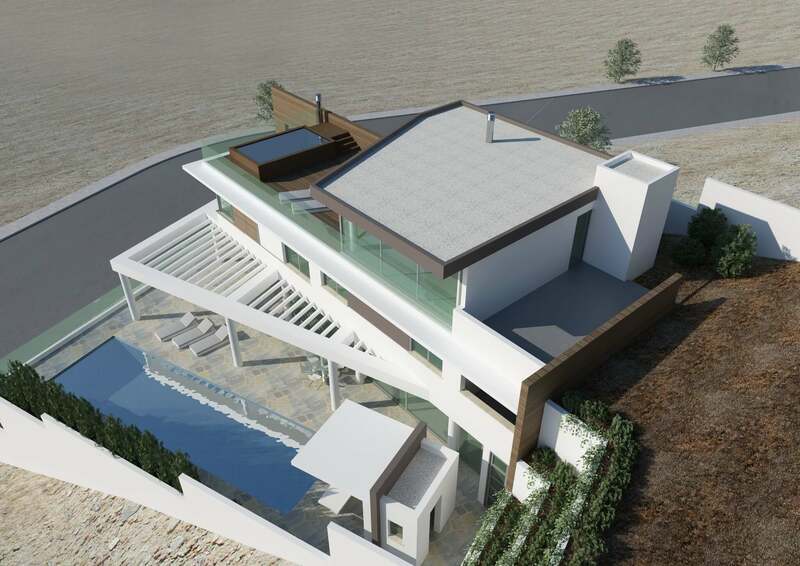 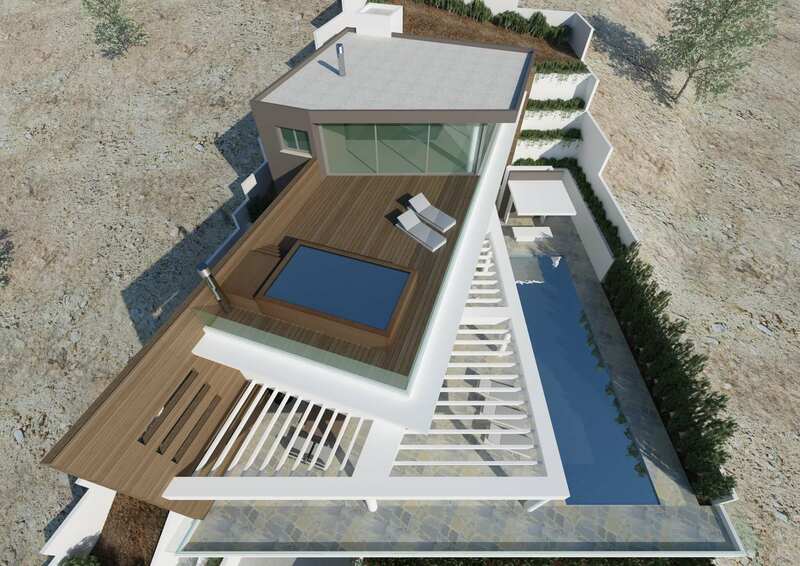 Under construction is a luxurious, modern house of an area of 795m2, with the highest building standards. 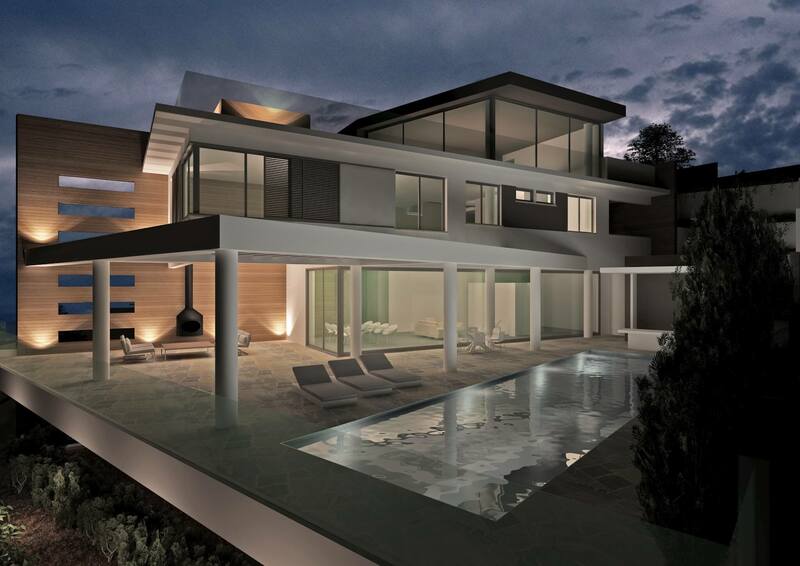 The house can satisfy the most discerning tastes. 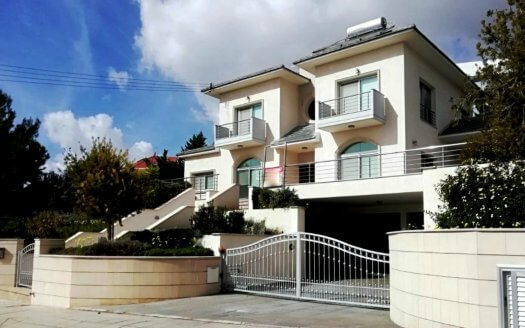 It includes a double covered parking space, storerooms, separate electromechanical service rooms in the basement, bright and spacious family rooms on the ground floor with big terraces and a swimming pool. 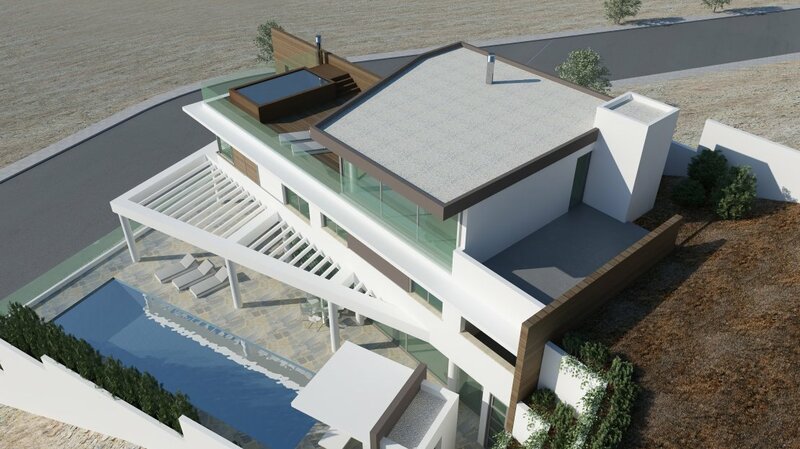 The house also includes 3 bedrooms with en suite in each one. 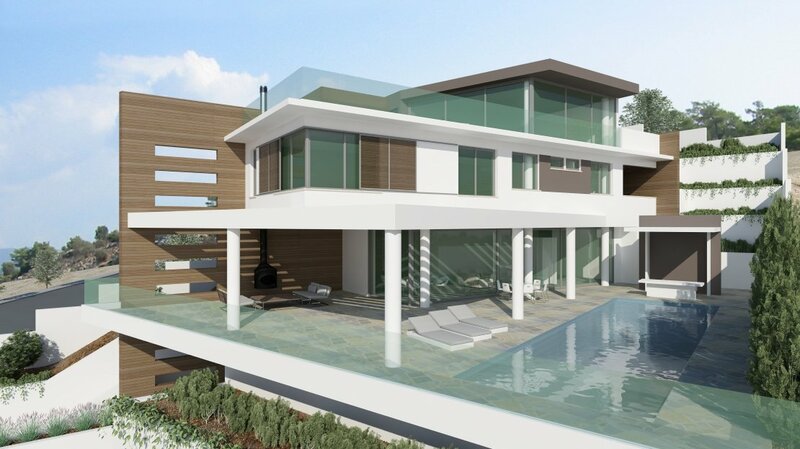 There is a jacuzzi and steam bath in the master bedroom. 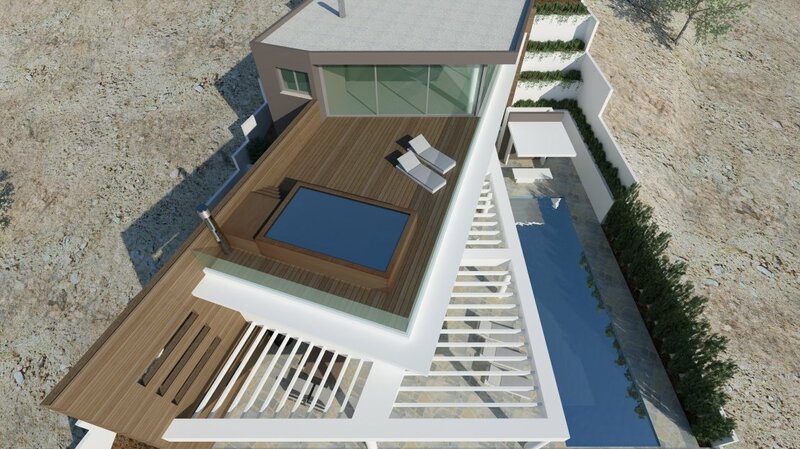 Also, there is a study room and a washroom with terraces on the first floor. 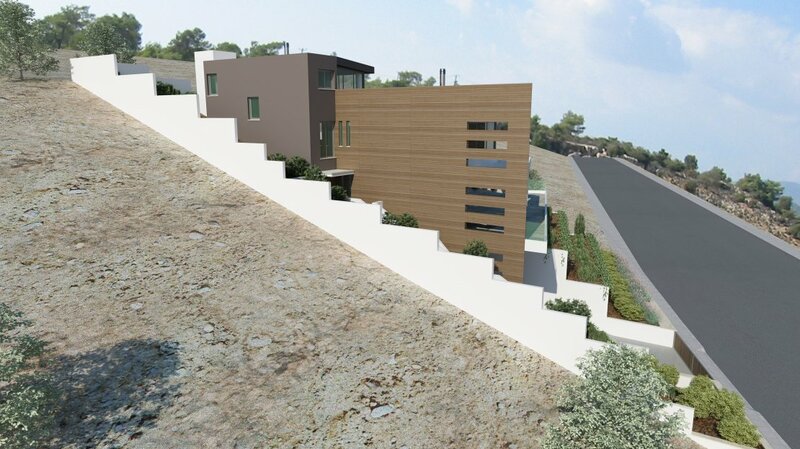 Finally a gym or a painting room or / and a conference room with its own terrace, including a roof garden and a roof top Jacuzzi.